We used Dynamic Crews DJ/MC, Photobooth & Photographer for our wedding! Their prices were great & all services we received were way better than we had imagined!!!! I was speaking with Kristina and Brittany during most of the planning process, they were so so helpful! When we had a hotel issue a week before the wedding, Brittany even reached out to a few hotels for us to try and help me out. Always above and beyond what they needed to do. Lou & Rob were our DJ/MCs were the best, the "list" I gave them had about 4 songs not to play on it, and I told them to just play to the crowd - they did awesome! Everyone had an awesome time! Matt was for the photobooth and everyone had a blast! Their prop selection was way better than I had expected, and the book we got that night was perfect!!! Our photographers were Daniel & Joan and they were by perfect! We couldn't be happier with the services we received from Dynamic! Thank you!!! We used Dynamic Crews DJ/MC, Photobooth & Photographer for our wedding! Their prices were great & all services we received were way better than we had imagined!!!! I was speaking with Kristina and Brittany during most of the planning process, they were so so helpful! When we had a hotel issue a week before the wedding, Brittany even reached out to a few hotels for us to try and help me out. Always above and beyond what they needed to do. Our photographers were Daniel & Joan and they were by perfect! We couldn't be happier with the services we received from Dynamic! Thank you!!! We used Dynamic Crews DJ/MC, Photobooth & Photographer for our wedding! Their prices were great & all services we received were way better than we had imagined!!!! I was speaking with Kristina and Brittany during most of the planning process, they were so so helpful! When we had a hotel issue a week before the wedding, Brittany even reached out to a few hotels for us to try and help me out. Always above and beyond what they needed to do. Lou & Rob were our DJ/MCs were the best, the "list" I gave them had about 4 songs not to play on it, and I told them to just play to the crowd - they did awesome! Everyone had an awesome time! Matt was for the photobooth and everyone had a blast! Their prop selection was way better than I had expected, and the book we got that night was perfect!!! Great services... Glenn D. did a phenomenal job, capturing everything and was very comfortable with his presences and his photo idea. Hi Joe, Wanted to thank you very much for your talents on Saturday at the PennVet Holiday Party! The music and 12 days of Christmas was much enjoyed by all! Rob already knows he is the best DJ on the planet. ;) The guys made a perfect night even better. They are all fantastic and Rob knew what I wanted for the evening and delivered a perfect scene. Lou and his team did a great job DJing our wedding and kept everyone on the dance floor all night! His professionalism and experience were evident throughout our time working with the company. He was great to work with; he was organized and listened to what we wanted our music experience to consist of. My husband and I continue to get compliments from our guests on the music at our wedding and rave about how much fun they had dancing all night. We also worked with Mary from Dynamic Crew for our photography and I cannot stop looking at our pictures from that day; We love all of them! She did a great job keeping everyone on track with the timeline which was important considering how cold out it was that day and made everyone feel comfortable in front of the camera. We loved how fast she got our pictures to us after our big day! We are very happy that we chose to work with Dynamic Crew for our DJ and photographer. Our Advisor, Kristina, was also great to work with, always checking in on us and keeping us on track with everything we needed to do before the big day. We would recommend them to anyone! Thank you so much! I really appreciate it!!! I am very excited to see them all. Daniel did a wonderful job! He was everywhere that night! We had a great time and appreciated Robby and Lou's help in making our wedding fun! We are so happy with all the services Dynamic Crew provided for our wedding day from Photo, video, DJ, tuxes, officiant, GOBO and dancing on a cloud everything and everyone helped make our day amazing! My HUSBAND, his groomsmen, ring bearer, and our fathers all looked amazing in their tuxedos!! Glenn helped start our day by officiating our ceremony and making us officially Mr and Mrs Medina!!! Accompanied by "Little" Lou and Marc with ceremony, cocktail hour, dinner and dancing music they truly were a dynamic duo as DJ and the dance on a cloud was such a magical moment for us and our guests! Daniel and Joan really were perfect for photo and I can't wait to see the rest of our pictures!! Bobby D on the video camera was absolutely amazing; I cannot wait to relive our day watching all the special moments he captured! And our GOBO on the dance floor was perfect! Everything was amazing!!! Big Thanks to Kristina for helping us every step of the way!! Can we hit rewind on life and do it all over again!!! Hi Kristina, Everything went so well! Thank you and dynamic crew for all your help. I was highly impressed by the photobooth and Mary and videographers were so amazing. Do you know when my photos will be ready and video? Maybe if you get to talk to Videographer you can ask him if he recorded the Ave Maria? I really wanted to see that played but unfortunately I was in room getting dressed and missed that song! It's my favorite! And my mom's favorite song but i don't know if my Videographer was with me he may have missed recording the song too? But thank you all I will be sending a card for them after I return home from Italy I will mail them a card. Thanks, Stacy Lee Ng Haha I love my new last name! Kristina!!!!! Dynamic Crew set the tone for my wedding! To say that Daniel was Phenomenal would be an understatement ! He was every where he needed to be at the right time and always on time! And you Kristina, made my life so much easier with the reminders and your kindness. I will be using you for my daughters wedding in 2019!!! That is a fact! Dynamic Crew set the tone for my wedding! To say that Daniel was Phenominal would be an understatement ! He was every where he needed to be at the right time and always on time! And you Kristina, made my life so much easier with the reminders and your kindness. I will be using you for my daughters wedding in 2019!!! That is a fact! Thank You Mrs. Tanisha Brockington!!!!!!! Hey! Eli & Daniel were both great!!! Very personable and funny, and had great ideas for shots. The bridal party enjoyed working with them, as did Greg and I! Cant wait to see the pictures. We will stop in today. Thank you!!! My apologies for my delayed response back to your email. I just saw this email. We have been away on our honeymoon and have just returned less than 1 week ago. I would like to provide a review as asked for in the email. I want to say THANK YOU first to you ANA for all your hard work, dedication, knowledge, and kindness. I really appreciated your quick response and answers to all my questions/emails. You have no idea how much stress that took off me during the wedding planning. Second, GLENN D and GABBY were PHENOMENAL!! They were so nice and captured every single image that I wanted and then some. Third, Lifestyle Tuxedos did a great job making my husband and our groomsmen look dapper. The selection and color choices were endless and the blue matched my girls dresses perfectly. So, thank you again to everyone for everything. You all have contributed to making our wedding day so special and memorable. We will definitely recommend your services to everyone! See you soon Ana to create our customized wedding album we had discussed/that is included in the price/package we paid for we once the pictures become available. Please reach out to me in regards to this. Looking forward to hearing from and meeting with you soon! How are you? My apologies for my delayed response back to your email. I just saw this email. I would like to provide a review as asked for in the email. I want to say thank you first to ANA for all her hard work, dedication, knowledge, and kindness as my advisor. I really appreciated her quick responses and answers to all my questions/emails. Second, GLENN D and GABBY were PHENOMENAL!! They were so nice and captured every single image that I wanted and then some. Third, Lifestyle Tuxedos did a great job making my husband and our groomsmen look dapper. The selection and color choices were endless and the blue matched my girls dresses perfectly. So, thank you again to everyone for everything. You all have contributed to making our wedding day so special and memorable. We will definitely recommend your services to everyone! Bill and I want to thank you all so much from the bottom of our hearts for making our wedding day so memorable and beautiful! Everything from the tuxes to the music to the photos and videos were absolutely perfect! You all truly went above and beyond any of our expectations and for that we are so grateful! Without your help, guidance and creativity our day would not have been as exceptional as it was. We are so happy with everything! Thank you again so much! You are all such remarkable people! I was very happy with Dynamic Crew and Life Styles. The photographers Glenn and Gabi were wonderful and Bobby D did a fantastic job. You were amazing in helping me with everything and I love how my hair and makeup came out. They guys from Life Styles did a great job with fitting everyone. I wish I had you as my DJ too. I would defiantly use your services for other occasions. Have a great day. DJ Rob is the best I've ever seen- we were so lucky to have him as the DJ at our wedding!! He kept our wedding guests still on the dance floor until the very last second of the night! He played the best songs at the perfect times and really helped to make our wedding a dream come true. Dynamic Crew is an amazing company and comes highly recommended!! Definitely a great company!!! We were so happy with everyone at Dynamic Crew!! Ana was amazing and helped with all the planning of our wedding day!! She was easy to talk to and had no problem answering questions...someone is always available at the office, as well. The Staff were so professional, they all reached out to me prior to my wedding, DJ,Photographer, Video, and made sure that we talked and went over everything...which was great!!! And I also used Lifestyles for the tuxedos...my husband and the guys looked fabulous...neat, perfectly fit...very impressed!!! The DJs played the BEST music...EVERYONE called me and said IT WAS THE BEST WEDDING!!!! Photobooth was so much fun too! Thank you to everyone at Dynamic Crew...Ana, Lou, and all the Staff , you are truly one of a kind!!! Rob and Ally were phenomenal! They exceeded our expectations in ever way possible. Rob and Ally were such a delight to work with and be around all day. They knew just what shots and pictures I wanted and made sure to catch each defining moment. They was very professional and we were super impressed with the turn out of our pictures. My whole experience was so smooth and easy and we could not be happier! Both DJ Lou and our photobooth Ed were great! They were part of daughters Surprise Sweet 16 on 2/14/16. Yes she was very surprised! I couldn't have asked for anything better! Very nice and caring guys! Very tentative to everyone's requests. DJ Lou contacted me the week of the party to see if I had any special requests, which I did have music I wanted played. He made sure he had every song I asked for. Absolutely Awesome! Thanks for your email. We had a blast! at our wedding. DJ Rob and his assistant did a great job and played the variety of music that we talked about. Everyone seemed to have a fun time and a big part of that was the music. We obviously haven't seen our video yet but Bobby was so nice and helpful all day. The photo booth was a big hit too and he was really nice. A lot of people complimented us on how great all these guys were. In addition to that, you were always great to work with and a big help. If you need any other information from us just let us know. Good Morning, Ana! The party was absolutely wonderful! Ed and the photo booth were a huge hit! He was patient and helpful to everyone! DJ Lou did an amazing job DJ’ing. The kids loved the music and had a great time on the dance floor. I would definitely use your company again and recommend you to anyone looking! We watched the video trailer that Bobby D provided of our wedding a thousand times. It couldn't have been edited any better! It's perfect! We can't wait to see the full edited video. Bobby was a pleasure to interact with - very relaxed and fun at the same time. He contacted me a few days before the wedding to confirm everything and ask about any additional requests, etc. He said he was fast but I wasn't expecting him to be that fast. He sent our video trailer 6 days after our wedding date! I will definitely recommend your services to others when they need them. We are beyond pleased and watching the video confirms how great of a day it was. If there's any other kind of review I can write about Bobby, please let me know. He was simply the best! Every one of the team we had working our wedding was perfect!! Ed the dj made the night a blast for everyone! Nicole becky and eli were beyond amazing with capturing the best photos and videos for us! We had 20 people in our bridal party including us and then 4 kids there as well and they were just perfect!!!! Ed the photobooth attendant was also great! The book he made for us was perfect! We could not have been happier with anything! Oh... they were both FANTASTIC! DJ JOE T. tore it up! The music was killer.. He really got the audience going with fun ice-breakers. He was flawless! As for the photobooth attendant, Matt... He was super outgoing and really got the party started at the photobooth. All of my guests raved about the photobooth. They had so much fun and the scrapbook is great for the memories! I was so glad that he came to remind us that we needed to take a moment and take some turns. Great night!! Eli was awesome!!!!!. The video turned out so well. We will definitely be watching it for years to come! Our DJ JOEY T was great!!! We had no direction what so ever and he really help us out because we were clueless on what to do. He was also very flexible and worked with us as we added the sand ceremony which was forgot about at the beach due to the weather. Our photo booth attendant was great as well. Very friendly and Made sure my husband and I made it into the booth together. We loved the scrap book as well!! Thanks so much for everything and will definitely recommend you guys to any future brides I come across. Everything was great, the guys showed up on time and played great music and had the whole room dancing! Thanks Ana! Hi Ana Working with a one stop shop like Dynamic Crew made this part of the wedding planning simple. DJ Lou did an amazing job! He played a great mix of music and read the crowd while still following the guidelines of the bride :) We are mostly appreciative that he reviewed the check list and confirmed special requests and effects with us prior to ensure it aligned with what we wanted for our special day. Rob was our photo booth technician and did a great job. He I feel had the most challenging job of the evening which was managing guests during an open bar event. He was spectacular and professional. He ensured there was order but the atmosphere remained fun. He also put my custom logo into a gobo which was perfect. Dynamic crew was absolutely awesome! Rob our DJ was right on and perfect and had everyone having a blast on the dance floor! Ana I would also like to thank you, you rock! You were so helpful and always checking in making sure things were perfect I felt like I was the only bride you were working with. You helped plan and make our day perfect! Thank you guys so much for everything!!!! Bob our videographer took the best video! He got everything I feel like I get to relive the day every time I watch it! Overall everyone was amazing and so helpful and really fun to have with us on our wedding day! They made everything stress free and fun! Thank you guys for making our wedding day perfect and for putting up with our craziness and making us laugh and have a good time!!! We just returned home from our honeymoon last night and I did not get your voicemail until late since I was not able to use my phone while in Mexico. 5 STARS across the board! Everyone was awesome to work with. From planning with you, selecting and picking up tuxedos, planning with Rob, Matt, and Ed it was a blast! Rob was AMAZING!!!!! Best DJ ever! He knew exactly what we wanted to hear and rocked it! He had everyone out dancing all night! Everyone kept saying that I had planned the music perfectly during the reception and that no one was ever bored, and I told them that Rob was the one who did that. The music he played and when it was played was perfect! He got everyone out on the dance floor to kick off the night, just how I asked. It was awesome and definitely set the tone for the night! Ed was awesome with the photo booth, everyone kept saying how much fun it was! Eric and I absolutely LOVE our memory book! He was so polite and helpful to all of the guests! Best decision ever to have him there as our photo booth attendant! Eric and I appreciate all of your hard work and dedication during our wedding planning time. We felt so comfortable talking and planning with you. We would definitely recommend Dynamic Crew and Lifestyle Tuxedo to anyone getting married!!!!! P.S The week of the wedding is when we had that awful storm and were out of power from Tuesday-Friday. I was very nervous because I was not able to get in touch with the store for the guys to pickup their tux. I text Rob on Thursday morning, and he immediately responded and found out the times they were open (without power) and when they guys could pickup. I thought that was great and extremely nice of him to do on his day off! Good morning. Please accept my apologies for not answering sooner. I have been so busy these days. I wanted to thank you too for the great work you guys did. We were very pleased with all of you guys. As I said it to you guys in person....You are the best in business and as a human beings!! I will call you soon..Thank you so much!! My wedding was on 6/26/15 at Brigalias. 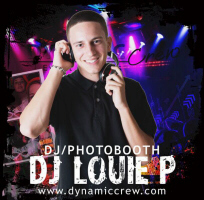 Through Dynamic Crew I had used the following services: Dj, Photo, and Photobooth. Daniel/Photo -- Not only did my husband and I love Daniel, he made our day fun and stress free. He was always there to get the best shot and strived to make sure we would be happy with the end result. He definitely made us laugh as well and followed through with the shots we wanted taken. There are so many pictures to look through on our USB and definitely greats photos to keep as memories. We would definitely refer Daniel to our friends and family. Rob/DJ--my guests definitely enjoyed the reception and all of the music that was played. He definitely played some of the music I asked for and threw in some new music which was great for all ages. Even though I didn't want line dances when Rob asked to play one it got everyone up lol. Oh and I completely forgot about the ceremony. I am so happy how everything went with the music and how seamless it went. Photobooth-- definitely a big hit at the wedding, it seems like everyone used it at least once. The younger kids seemed to enjoy it the most . Our scrapbook of everyone is wonderful! Thank you again for making our day even better than I expected. I just want to take a second and thank Dynamic Crew for there amazing service! Weeks later we are still having people tell us that this was one of the BEST weddings they have ever been to. Entertainment is main key for an awesome wedding and my husband and I have nothing but GREAT things to say about Dynamic Crew. We used their DJ (Lou) who worked with us and made sure our day was what WE wanted which was a PARTY. His Frank Sinatra singer who sounded just liked him and was so professional. Dynamic Crew also has an amazing machine which is called the cloud machine. While Jason and I did our first dance Dynamic Crew made it look like we were dancing on clouds and the crowed amazed! We will definitely be recommending Dynamic Crew to everyone who needs a great honest very talent company who makes your day perfect! So thank you so much!!!!! Hi! I just wanted to let you know that Rob was AMAZING!!!! . He did everything we asked for, he was easy to work with, and everyone there had a great time. A few people commented on what a great DJ we hired! So thank you for providing us with such great service. We will definitely recommend your services to others! I don't know where to begin. From the first time we walked into dynamic and met with Kelly you guys have made this an actual walk in the park. Kelly left and you took over. I was nervous because I thought everything kelly and I had discussed would've needed to be repeated but that wasn't the case. It was seamless. You've been just as great. You always follow up, and return calls and emails pretty much within a few hours. Thank you!! Lou & Sal (Dj)- when my husband and I first met Lou we knew we were hiring him within 30 seconds. His energy was exactly what we were looking for plus some. You can tell he loves what he does. We told Lou we wanted a party, and he surly brought the party! The music was great, the glow sticks were a huge hit, and the fog...Omg, everyone went crazy for it and I can't wait to see the pics! We gave Lou some request but told him to basically wing it, and play the request of they fit with the vibe. He did a lot of mixing with the request and they were amazing. Lou knows what he is doing! I can't thank Lou enough. We had so many people call text and write to us on Facebook about how amazing the wedding was, that to be honest we couldn't even think about reading everyone's comment let alone replying. Lou, I can't thank you enough! Thanks for making our special night one we or our guest will never forget! Sarah & Becky (photographer) - the day goes by so fast. 18 months of planning and it's here and gone in the blink of an eye. Pictures are all you have to really bring you back to the moments you do not recall even happening. I was more nervous about the picture than anything. Sarah has sent us a sneak peak already (2 days after the event!) and they're amazing. I love them. Seriously I couldn't stop looking at them last night. I have no idea how I will narrow these down for the album. I can not wait to see the rest! Sarah and Becky were so much fun that night too. They were there to capture our day but we felt like they were guest (in a good way!!) They made posing and taking pics fun rather than annoying. I can't wait to see the pics of Tony getting ready since that was a part of the day I wasn't there for ! Anyway they were great, there's no need to hire a photographer who will charge you 5k- Sarah and Becky did exactly what they do for a fantastic price. I'm so thankful for them capturing our day! John T & his partner (Videographer)- they were fantastic. While pictures will catch your day weather they're posed or candid, the video gets your reactions and everyone else's. I haven't seen a sample yet but I already know I will not be disappointed. The videographers were there and we didn't even know it. They weren't in your face with the video recorder or in the way. They were so nice and I have all the confidence in the world in them! I can't wait to see the video! Photo booth- they were great. Everyone liked it! The personalized album they give you that night was great. Can't wait to see the pics on the flash drive that was also given to us! You can hire a photo booth from anywhere but for me it was worth the assurance and confidence to have dynamic bring it in! Uplighting- it was really nice. I would suggest having it at every wedding. Give you that elegant yet party feel! Fog/clouds- we were so happy to have this service! It was amazing and I can't wait to see pics. The crowd went crazy for it! The first dance will appear as if "you're dancing on the clouds" then Lou brought it out later in the night for the party ! Big hit! Monogram- I say go with it. It's a really nice touch and it was nice to see! They did the design exactly how I asked for it! People liked seeing it too. It's worth it! Tuxedos- my husband and guys looked great. They have a lot of options and a nice deal for their grooms who book other services with them! Everyone one of you helped make our day perfect. I already told my friend Tina who is getting married next September to call you guys. I told her she'll make a mistake not hiring you guys and that's truly how I feel. There were no hiccups in our day and that is mainly bc of you guys! Thank you thank you, thank you! Dynamic Crew was a fantastic company to work with for our wedding. Ana was very helpful and helping us choose the services we need and staying in contact during the whole process. We used three services from dynamic crew, photographer, DJ, and photobooth. Our photobooth was also a big hit. The props were so much more fun than any other props I have seen before. Ed was very helpful at getting everyone set up and the scrapbook we took home that night was great. Ed added a lot of special touches to make it extra special. Thank you ana and the entire dynamic crew for making our wedding day perfect!! DJ Louie P DJ my twins 12th birthday glow in the dark dance party last night and rocked the house. Literally! I was worried that they would get bored dancing for three hours but they did not stop for a second. Thanks Louie!!!! You are awesome!!! Ana was EXCELLENT, we were lucky enough to meet her at a Bridal Open House back in 2012, we received a free promotion for filling something out and she gave us a call a few weeks later inviting us over to Dynamic Crew Events to hear about how much they had to offer. We not only met her that day , but a very friendly gentleman who was in the tux department as well. After seeing and hearing about all the outstanding services they had to offer we used Dynamic for our up lighting, dj (Robby Rob who I HIGHLY recommend), the adorable couple Rob and Ali for photography, photo booth, videography and the gentlemen's tuxes. Ana also set up a meeting with Robby Rob the dj early on to get some advice on music, ideas for the reception etc. He too was fantastic and very down to earth. 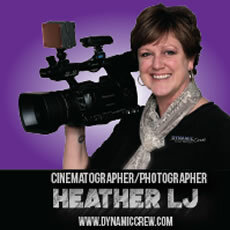 We were very pleased with our photographer Daniel at Dynamic Crew! He was punctual and got the job done no matter what. He was everywhere, getting every shot. He was very professional, and made my husband and I, and our bridal party feel very comfortable throughout the day. His shots were very natural and he captured every important moment of the wedding day. The photos are absolutely beautiful, and we have received many comments on how thorough our photographer was. Hi Ana! Thank you so very much. I want to thank you and Dynamic Crew/ Lifestyles Tuxedos for the excellent service we received! The video turned out great! I have been getting endless compliments on the trailer and the groomsmen looked phenomenal in their MK tuxedos ! Thank you so so much! We will definitely recommend! I wanted to say that everything turned out great. I was very happy with the service from all of the staff. Nana and Heather where awesome. I would definitely recommend your company to my family and friends. The DJ was great everyone was dancing all night long and they kept telling us how much fun they had. You guys made everything very easy for us I really appreciate it! Thank you!! You did an amazing job last night. It's not easy to wing it on a production like we put together, but you did not miss a beat…. Thank you again. I wanted to tip you but it completely slip my mind do you have a address I can send something to you? Working with DJ Robby Rob was a breeze. This guy truly knows what he's doing. After having one conversation, he was able to determine exactly what we were looking for when it came to our reception music. He was able to finish my sentences and give great suggestions that I never thought of. When I say that Robby Rob and DJ Salvatore tore the roof off the place, they truly did! They had guests out of their seats before dinner was even served. It was so great! They were able to collaborate both top 40 and "old school" music to satisfy our friends and families. We still have guests saying that it was the most fun wedding they'd ever been to! WOW! We cannot thank you and Dynamic Crew enough! I'd like to mention that Andrew and I are the first of our friends to get married, so when it came to hiring vendors, we were super lost. We came in and had the chance to see photographers, DJs and videographers that have all worked at our venue before. It was so reassuring to see how much experience Dynamic Crew has! We were sold from the beginning. You guys all made it so easy. Oh! And the tuxes too! Sarah and Becky, our photographers and Bobby our videographer showed up at my house and didn't waste any time getting down the business. I didn't have to worry about them at all- they just came in and went to work! They were on time and ready to go. After the ceremony, we were supposed to take pictures outside of the church, but the weather didn't cooperate. That didn't stop our crew from rearranging our party bus agenda, and head off to another location that was closer to our venue. It was perfect!!! We never knew this location existed, and the rain had subsided at that point so we were able to get great shots of our bridal party there!!! (Sarah was even watching the doppler radar and knew we wouldn't have rain at the time!) Andrew and I were so thankful that they were able to think on their toes and get great pictures for us. It was such a surprise when Ana emailed us to say that our pictures and video were ready within 2 weeks after our wedding!! We got to take a sneak peak while we were on our honeymoon. When Andrew and I sat down to watch our video, we were both in tears with how beautiful it was. Bobby D really caught the emotion of our day and incorporated both the silly moments of getting ready as well as our touching vows. (We even forgot Andrew had a microphone on and he caught us giggling and chatting during our church ceremony.) We loved every minute of it and could not be happier. We also chose to have an in-home fitting for the guy's tuxes which is the best decision we ever made. Many of our groomsmen live out of town, so it was so great to have Dynamic Crew come to our house and fit the guys the day before. And then they came the day after our wedding to pick them all up. They made it so easy for us and our guys. We LOVE the work Dynamic Crew did and could not be happier! Thank you to everyone for your expertise and professionalism. We will HIGHLY recommend all of your services to all of our friends that are going to be tying the knot. It couldn't have been a more pleasurable experience. Working with you and Dynamic Crew was a wonderful experience. Ana nailed all of our detailed and hit the planning out of the park. She was always very prompt with emailing back, always offering help and her professional opinion. Lou at Dynamic Crew created 2 mixed songs that we had coordinated dances too which went off with out a hitch. DJ Joe T was our DJ and he was great. Very interactive with our members of our party and made the day very special. I recommend Dynamic Crew for any future events. I wanted to start by thanking Ana for everything that she did to assist us up until our big day. She was always available to answer questions and help us through the planning process. She made me feel so confident with choosing Dynamic Crew for our big day. We had Lou for our DJ, and just as he promised, the dance floor was packed all night! We did hear a few of our do not play list songs, but I guess Lou knew what he was doing because all of our guests seemed to be having a great time. My mother actually was feeling bad because she danced all night and felt that she didn't get to talk to the guests. It was a blast. Ed worked our photo booth and everyone loved it. Ed even came over to my husband and I to make sure that we got in the photo booth before it closed. He was also nice enough to reopen it for my parents to jump in. Thank you Ed. I met our videographer Eli the morning of my wedding and he let me know exactly how the day would go and what he would need from me which was next to nothing Eli has a great personality and knows what he is doing. Rob and Ali were our photographers and they are such a great team. They listened to exactly what shots we wanted and made sure that we got all of them and then some. They worked really well with Eli to make sure that our photos and video would all be perfect. We can't wait to see the finished product! Thank you for making our day everything we hoped it would be and more. Rob and Ali were our photographers and they are such a great team. They listened to exactly what shots we wanted and made sure that we got all of them and then some. They worked really well with Eli to make sure that our photos and video would all be perfect. Hi Ana, sorry I haven't responded back until now, I just haven't had a moment to actually sit and do so! Feedback on our DJ Lou, he was amazing! We loved everything about him! He played a great variety of songs that kept people on the dance floor all night long! Lou, I just wanted to thank you for everything for our wedding. Photos look amazing !! My gf Claire will actually be contacting you soon to book rob and Ally for her wedding next November. Thanks again !! 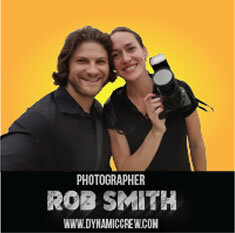 My wife and I were so happy with the professionalism and creativity of the dymamic crew video and photo staff. They were a pleasure to work with and brought some great ideas to the table. I recommend dynamic crew for all wedding services!!! You are fantastic! our wedding day was so much fun! the room up lighting was beyond perfect. You both were so professional and easy to work with. We heard so many of our songs from our 'play' list which was so important to us. We will absolutely recommend you to everyone! Hi Ana, Words cannot describe how happy my husband and I are with Dynamic Crew and the services they provided for our wedding! I first want to send a special thanks to John T and his partner Brain. Both are incredibly sweet guys! They were at every important aspect of the wedding and nothing went unnoticed to them. My guests raved how polite and fun they were. At the end of the night they even helped us load things into our cars. What in incredible team! I could not be happier. Can't wait to see the video!!! Thanks John and Brain you both were awesome!! My thanks also goes out to DJ Rob and his partner Louie. WOW is all I can say! The music selections were awesome and kept everyone dancing all night long! I loved how Rob interacted with the crowd and got them pumped. There was never a dull moment. Rob was also very organized and on top of things which made the night go smoothly and stress free. I called some of my guests to see if they had a good time and the first thing that came out of their mouth was "Oh My God the DJ was awesome!" We couldn't be happier with the service! Thanks again Rob and Louie for making out wedding "Rock." Thanks again Dynamic Crew for making our wedding day extra special! We can't wait to use your services again in the future!! Now, on to the man who kept our family dancing the whole night. DJ Robby Rob was a pleasure to work with. He knew what we wanted and delivered!!! People are still asking about him. Rob was so helpful while picking out the music selections and even offered some great selections when I had no clue what to pick. Rob even helped my fiancé (oops husband now) and his groomsmen plan a surprise dance for me which was both completely unexpected and wonderful (my husband does not dance...at all). I had the best night of my life because of Rob. We wish we could do it again!!! Thank you again Dynamic Crew!!! A special thank you to Nana and DJ Robby Rob. You truly made my wedding a night to remember. Hiring Dynamic Crew to DJ our wedding was one of the best decisions we made. We worked with DJ Lou and gave him an extremely detailed request list which he seamlessly incorporated into his sets. The result was a customized one of a kind dance floor experience that wouldn’t have been able to be duplicated if we used another DJ. He even took the time to help us create personalized music samples to make our ballroom entrance with. As promised the dance floor was packed the entire night. Even months later some of the most frequent compliments we get are how great the music and energy on the dance floor were that night. Thank you to DJ Lou and the entire Dynamic Crew team for all of your work in making our day truly special. We would highly recommend them for any occasion. Hiring Dynamic Crew for our wedding at Lucien's Manor on April 27, 2014 was such a great decision. Sarah is an AMAZING photographer and I highly recommend her for couples trying to choose their photographer. Dj Robby Rob and his assistant Lou had my dance floor filled the entire night! We had the PERFECT wedding thanks to Dynamic. We also used the tuxedos from Lifestyles and all of our guys looked great! We can't thank you guys enough for your outstanding customer service. I just wanted to thank you for everything. Everyone had a blast at the wedding , we had so many people come up to us the day after saying how much fun was everything was! You guys did an awesome job with the music , The dance floor was packed all night exactly what we wanted!! I wish the wedding went on all night! I found the Dynamic Crew website while searching the internet for a professional videographer to record the musical adaptation of my children’s book. 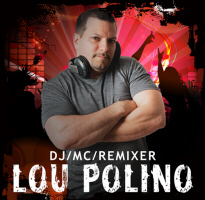 I was delighted when I spoke with Lou Polino and found out he could help me. Working with Lou was privilege and a pleasure! I was impressed by his knowledge and understanding my specific needs for a video shoot at the theatre venue. Lou sent the contract to me in a timely manner. I signed the contract and sent it back to Lou for his signature. However, his printer was being repaired. Lou said he would sign a copy of the contract and send back to me in Chicago using the regular postal mail service. Two days later the signed contract arrived from New Jersey. What a refreshing experience to work with an individual who kept his word. Lou is a man of his word, a rare occurrence in today’s business world. I also appreciated Lou’s selection of Heather to video the musical performance. Heather’s experience, expertise, personality, and professionalism were a perfect match for me and my event! Lou sent generously sent me several copies of my videos. I am so pleased that Heather did close ups of the actors and also captured the scenes when there were several actors on the stage. She captured the performance PERFECTLY! I highly recommend Lou, Heather, and Steve, whom I spoke when I called to speak with Lou, to anyone who wants to collaborate with professionals who genuinely demonstrate being available for their clients to make their event remarkable and memorable. It was a pleasure and a privilege to work with Lou and his staff. Lou offered me exceptional and responsive customer service. I was able to relax and enjoy the musical performance without a concern! br! 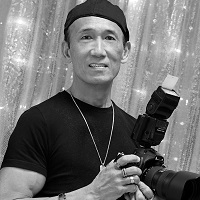 After Lou Polino and I made our verbal agreement for a videographer to record the musical adaptation of my children’s book, Heather promptly responded on my client page on the Dynamic Crew website. I was impressed with her promptness. After the contract was signed Heather and I connected with an email, then a phone call. Lou selected the right person for me to work with. 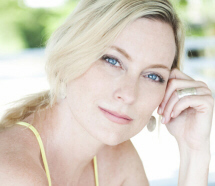 Heather’s experience, expertise, personality, and professionalism were a perfect match for me and my event! Working with honor and a delight! Heather devoted an extensive amount of time to find out exactly what I wanted and needed for the video recording. Heather said she wanted to read the script and watch a rehearsal before she videoed the performance. I sent her the script and called her to let her know when the cast would be rehearsing. Heather arrived at the Tuesday evening rehearsal to discover that only specific scenes were being rehearsed and not the entire musical production. Heather spoke with the artistic director to learn more about the performance and left the theatre. Heather returned to the theatre on Wednesday evening, watched the entire performance, and spoke with the sound technician to be sure she could connect to the theater sound board. Heather called me after the rehearsal to let me know she had everything under control for the Friday performance of the musical. On Friday morning, my husband and I arrived when the theater opened and Heather arrived at the same time. Again, I was impressed with Heather’s promptness and commitment to me as the client. Heather prepared her video camera set up and explained how she would be recording the performance. She even asked my opinions about how she should do the recording. After the performance, Heather asked if she could interview some of the children and parents to capture their impressions of the musical. Heather was careful and respectful to only record the children whose parent gave her permission. After the performance, Heather and I had a chance to discuss the options for the video post-production recording. I was impressed with Heather’s creativity and her graciousness to offer me copious ideas. A few days later, Heather emailed me 23 photos that she captured from the video. The sequentially photos created will help me create mini photo album of the musical for my website. Lou sent generously sent me several copies of the musical video. I am so pleased that Heather did close ups of the actors and also recorded the scenes when there were several actors on the stage. Heather captured the performance PERFECTLY! I am delighted that Heather was the videographer who was able to record such a meaningful and significant event in my life. I appreciated her integrity, knowledge, problem solving, research, communication, and organizational skills, creativity, patience, thoughtfulness, and sense of humor. I would recommend Heather to anyone who to turn the video recording of their event over to a professional and not worry about how the job will be done! I was able to enjoy the musical performance and know that I would have a perfect record of the event because of Heather!! It was a pleasure and a privilege to work with Heather. She gave me extraordinary and attentive customer service, which made my experience celebratory, comfortable, and care-free. Our DJ Joe was awesome! he had so much energy and kept my family dancing and having fun. 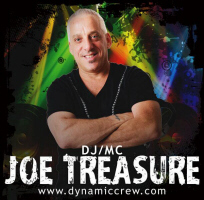 thank you Dynamic Crew & DJ Joe for a job well done. We did have a great wedding and enjoyed it so much! Please send out thank your to Rob, Eli and Ed they did a great job! Sorry for delay in getting back to you. DJ Rob did such a great job! Everyone really enjoyed the selection of music and he definitely had everyone out on the dance floor! Steve did an amazing job singing during the dinner hour. My husband Domenic was really surprised and everyone had a fantastic time. By the way, I used your idea of staging a fake event at the One Atlantic that night. My friend made up a postcard that I sent to my husbands office saying there was an Operation Smile Wine Tasting fundraiser event being held that night. Eileen, the event planer, then made up signs for the entrances of the One Atlantic so it looked like that was the actual event. My husband couldn't believe it! Thanks to you the surprise went off without a hitch, as I would never have thought of that! I would highly recommend Dynamic Crew to anyone who was planning a party and needed a DJ. Thank you so much! Our wedding was amazing. Sarah was an amazing photographer & really listened to my ideas and made all the pictures beautiful. Lou was a great DJ and had everyone dancing, and Steve singing in the beginning was an awesome start to the dinner hour. We were very pleased with everything ! Dynamic Crew was so easy to work with. Kelly in their front office is absolutely fantastic. If I had a question, I had an answer by email or phone call within an hour. The customer service can not be beat. As far as our DJ goes, we said we wanted a party, and that's what we had! Wow can't believe it was almost 2 months ago! I know you asked me to give some feedback from the event. Did you want it just in this email or is there a survey I need to take? Sorry for taking so long to do this. We were very happy with the services you provided us with @ Luciens Manor on 10/26/13. Sound quality (one of my concerns) was not an issue. The equipment was great and the sound was clear. Lou you were very professional and organized. Everyting went very smoothly. Everytime I looked at the dance floor it was packed! You studied the crowd and played all of their favorite music... it was great! Steve Abruzzi did an amazing job and we were so happy you included him in our package. It made my father- daughter dance extra special. The crowd loved his performance during the dinner hour. Lou, you were great with timing and keeping the crowd engaged. Everyone is still talking about how they had such a great time. I thought it was great how you gave us the idea to break out into a dance after introductions instead of doing it the traditional way and just going into the first dance. Brides always try to be unique and it's great that Lou provides ideas on how they can be. I also want to compliment Kelly at the desk at Dynamic Crew. She was so kind and welcoming towards us and always offered her help. You can tell she is very passionate about her job and its great to work with people like her! The video men were very professional. I feel I don't have much to say in this area as I did not have much time to get to know the video men on the day of the wedding. They seemed to work well with the photographer. I am very excited to see the video! If they are just as great as the DJ service I am sure it will be amazing! We had a great party on Saturday night at the Revel. Joe was terrific as our DJ. Certainly you made it easy to set up and get the music for the room. We hope to have more parties in the future and will be in touch with you. I couldn't have hired a better team for the biggest day of my life! DJ Robby Rob was absolutely amazing. I had a packed dance floor all night long and we had the time of our lives. Michelle and Darrel were my photographer and videographer and they were just awesome. I can't wait to see the finished product. All in all, I highly recommend Dynamic Crew for their wedding services and any party event for that matter. Very professional and reasonable pricing! I sure got the A team on my wedding day!! Thanks for everything Lou Polino and my crew. What a great night with memories that will last us a lifetime. Both my photographer Nana and DJ Rob were both professional and fun and easy to get in touch with. Both listened to exactly what I wanted. I'm excited to see my photos and everyone said best dance floor out of all the weddings they've been to! I wanted to say how wonderful our party was thanks to you. I have used your company several times in the past and the outcome has been consistently the same. I couldn't ask for anything better. The energy of your team is unmatched. The crowd participation was unbelievable! We've received numerous compliments about the DJ. Thanks again Lou for giving us a memorable experience. It is our pleasure to write a review of Dynamic Crews services! In fact, it is so much of a pleasure, that we had already personally messaged our Dynamic Crew members to thank them for their great service! From the moment we met Dynamic Crew at the January 2013 showcase, we knew without a doubt that your team was the one for us! great staff members, great variety, always a smile, and very organized! Our personal team of Kelly, Robby Rob, Matt, Darrell, Emily, and Daniel, were ALL SUPERB! Every single one of them have went above and beyond for us and provided the service that not only what we were hoping for, but all that we could have dreamed of! Every single one of them have shown us true professionalism, patience, and, friendliness that all customer service standards should be compared to! It is top notch and because of you ladies and gentlemen, our wedding day was perfect for us and all of our guests. We will forever be recommending Dynamic Crew to anyone who asks us for wedding advice. On behalf of the newlyweds, family, and friends, we Thank You! The wedding was perfect! Steven and I are extremely happy with everything! From the moment we booked our services with you guys everyone was extremely helpful. From the phone calls to the emails everyone was always there to help me. Daniel, our photographer was GREAT! He came early to the salon where I was getting ready the day of wedding to set up everything. He was extremely kind and caring. He printed out the schedule I gave him and everything I asked he went beyond my expectations. All my family and friends are so impressed with the photos. They all came out so BEAUTIFUL. We can not stop looking at them and can't wait to create our wedding album. We are so happy we chose him to be our photographer!! John T, our videographer was GREAT as well! Just like Daniel, he came to the salon to set up everything. He took footage of me getting ready as I requested and the guys as well in their suite. He took footage of everything we wanted and was extremely helpful with everything!! We cannot wait to see the video of all the beautiful footage he shot! Rob, our dj was AMAZING! Everyone was on the dance floor all night. He played all the songs I requested and more. He was very helpful and kind with everything.Steven and I are very very happy with his services. Also, the Gobo lighting looked awesome that he made for us. Thanks again for all of your help and for being so professional. Much appreciated! One final question, do you happen to know when the photos will be available to us? Thanks! Sorry I've been off the radar! September was a whirlwind of traveling, more weddings and renovating another shore property so I've been away more than I've been home. Anyway, I cannot thank you and your Crew enough for our wedding! The first thing everyone I've talked to said was what a crazy party it was and how amazing the DJ was. You started the party and kept it going all night which was exactly what I wanted!! Everyone seemed to be dancing the whole time! I am so excited to see the video and all of the dance floor debauchery. I am just so happy with how everything went. Plus the fact that you made yourself so available to talk, help or answer any questions I had. You were so thorough and professional on top of everything! Please let me know what sites I can leave feedback on for you guys! Thank you for your email. DJ Rob our DJ was great, the ceremony music was perfect, which lead to a fun filled night on the dance floor at our reception! Our guests raved about the music! Rob our photographer was outstanding as well! Every time we turned around there they were to capture the memories. Thanks again for all your help! Looking forward to seeing our photos! Hey Rob, It's Rich Rossi. I just wanted to let you know that me and Theresa wanted to say thanks again. Everything on the DJ and entertainment end was amazing. We will def be in touch in the future if we ever are in need of a DJ. And we will also recommend you to anyone also looking. Thanks again!! Thank you so much! We love this pic!! Everyone was amazing ~ DJ Robbie Rob, Photography with Rob and Allie, Video with John T, Photo booth was on fire, and Steve on suits!! Lou, you have a great thing going here!! Daniel did a fabulous job!!!! on our wedding photos! He captured every moment perfectly. I couldn't be more happy with the way the pictures turned out and I can't thank him enough! He is a great photographer! Hi Victoria! I was wondering if you could pass on a message to Lou and all the vendors that came to our wedding. It was everything we wanted! He was perfect. He also was very professional with all the last minute changes we had. We might be calling him next year for my sister's wedding ;). 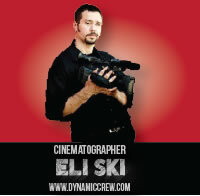 I was very pleased to know that they also offered Photography/videography through Dynamic Crew. After looking at a trailer for one of their past wedding videos, I knew they would do a great job with the wedding video and photography. I was able to pick the photographers that I wanted and Rob & Ally did a GREAT job!! I wanted 2 photographers at my wedding and it was great to know that they were also married and worked together. They were on time and was able to get pictures of me getting ready. My videographer was also on time and did a FANTASTIC job on my wedding trailer and video. I've gotten back nothing but positive feedback about the trailer and the wedding video. I am happy that many years from now I will be able to look back and remember my special day and how much I appreciated everyone who took part in making it everything that it was. I couldn't be happier with my experience with Dynamic Crew & Lifestyle Tux. I have 2 younger sisters and 2 younger brothers who will get my recommendation to use Dynamic Crew and Lifestyle Tux for their wedding!! I was very happy to have come across Lifestyle Tux while doing my wedding research. My mom (who got married in 2000) came to Lifestyle Tux for her tuxedo and limo rental for her wedding. I asked her how she liked the company and she said she had no complaints and they did a very good job making sure everything was ready for her wedding in such a short time, since she planned it in 2 months! I was convinced that they would also do a great job with my wedding. My husband got fitted and picked out the tux for our wedding and was able to take measurement cards for our groomsmen who live in 4 different states. I was comfortable dealing with Lifestyle Tux for our rentals because unlike Mens Warehouse, they would be able to make on site alterations if needed all the way up to the day of the wedding. All of the guys looked GREAT and everyone LOVED the grey suits! Everything was AMAZING at our wedding. Rob did such a great job! We got a lot of "your DJ is awesome!" remarks from our guest. The gobo was beautiful, and the photo booth was of course a huge hit! We are excited to see how our video by Daryll turned out! Sorry I couldn't send you out review earlier! We were extremely happy with everything & can't thank Dynamic Crew enough for helping to make our day so memorable! We highly recommend Lou's group for your events. We had DJ Rob at our wedding recently and he did an awesome job. I could not have asked for better. The dance floor was packed all night and he kept the party going. We also rented the tuxedos from Lou and everything went very smoothly and the guys looked awesome. Please consider hiring these guys, they are professional, fun, reasonably priced, and good at what they do. Brian and I had an amazing wedding day!! DJ Lou definately kept the party going the entire reception!!! He played a great variety of new music and older music for the different generations. We would consider Dynamic Crew for future events and be sure to recommend them to all of our friends and family. I just wanted to touch base with you to Thank You for being a part of our wedding day. Everyone had an awesome time and some people have even told us how much their feet hurt from dancing so much. Robby Rob did an amazing job. He was super professional and very enthusiastic. He can get a crowd pumped up and in the mood to party. He was very personal and made a point to make sure that all introductions and announcements were correct and to the point. He has the ability to get people on their feet and having a good time. The music he played was very well balanced and to our guests liking. We had a very mixed crowd and many of our guests made it a point to tell us that he did an awesome job. Robby Rob helped make our wedding special and memorable. Everything was wonderful, We were very happy with the services provided!!!! Dynamic Crew you did an awesome job, from the photographer, photobooth and DJing for the Zeidler/danser wedding thanks a bunch! We'd be happy to give feedback. Rob was an excellent DJ! He really kept the party going, playing great dance music for the teens but also pleasing the adults - not an easy thing to do, as we had quite a mixed crowd. We were afraid the music would be super-loud and the older folks would be complaining, but we had nothing to worry about. The kids were loving the dance music and everyone was on the floor, and that was the main objective! We would highly recommend him! Thanks Rob! Thank you on behalf of the bride, the groom and their families. Dj Rob and DJ Ed have done a great job! They made a good choice of songs, satisfying everyone and gave us a very good time on the dance floor! We will surely recommed you. I cannot say enough good things about Dynamic Crew and Robby Rob. They played an amazing! mix of music and the floor was never empty. We had a large age difference and everyone was out there. Robby Rob was great if you want to keep the dance floor going all night he is the man for the job! We had an amazing time at our wedding and DJ Rob and our videographer Darrell had a huge part in that. The dance floor was never empty because of the mix of music Rob was playing. We had all age groups from our 2 and 4 year old niece and nephews to our 85 year grandparents and every age in between. Darrell gave us the opportunity not only to relive our day over and over again but to see things we may have missed. Thank you again for helping make our day amazing! Lou, Sorry this is so late but I finally found all of my Thank You's ? after our move to Delaware. Thank you and the crew soooo sooo much again for making my wedding AMAZING! You guys were so awesome, and I know I told you before but I wanted to let you know again. Thank you for everything and also making my wedding memorable. Thank you so much to Dynamic Crew especially Dj Rob. 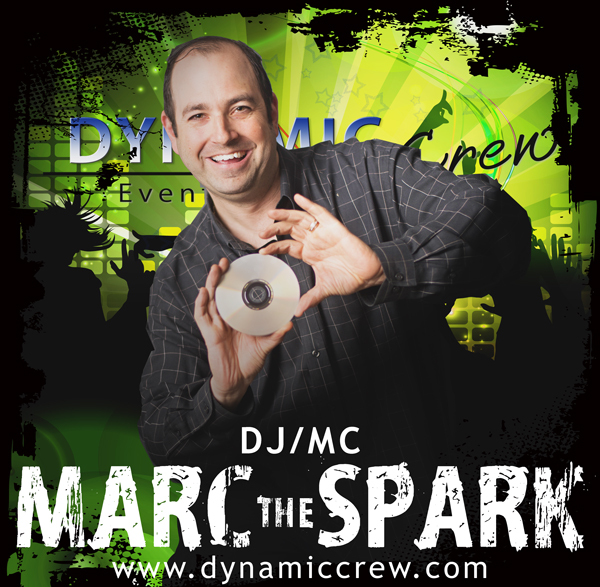 I would recommend the Dynamic Crews services to anyone looking for wonderful DJ's. I can't wait to pick up my dvds! 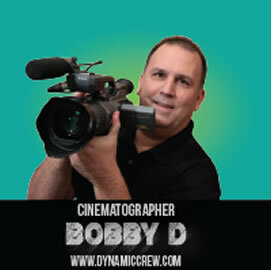 Videographer Bobby D- We were very happy that we used a videographer because the day really did fly by! Bobby was great; he wasn't intrusive at all which is exactly what I told him that I wanted. He was very nice and professional. My husband says that he too was very pleased with him. He said that during their photosession before the ceremony Bobby was even helping out to fix his tux and whatnot. We were very pleased and would recommend him to our friends! We can't wait to see how great our footage came out! Uplighting- My husband surprised me with the uplighting which he knew I wanted. It looked beautiful! He said they were great to work with. We had Sarah and Bobby D. do the services for our wedding. It was so much fun and I love them both. Them and their partners were wonderful, fun, and felt like family. I will recommend them to everyone. Thanks again. Awesome company! Everyone was very nice and professional. They were very responsive and listened to any special request. Thanks to dynamic crew our wedding was so much fun! Our guests have not stopped talking about our wedding reception on August 18. I am constantly hearing about how amazed they were that there was no one left sitting at their tables when the music started. Even the guest that typically don't dance were up on the dance floor. Our DJ, Rob deserves all of the credit. From our first consultation, my husband and I knew he was the right DJ for us. I put my full trust in him and gave me almost all of the control of what was played. I am glad I did, too! I will definitely be recommending Rob and Dynamic Crew DJs and look forward to using you again! We can't say enough thanks. Eric and I would like to take a minute to tell you how grateful we are for you being the DJ at our wedding on August 10th at Indian Springs. Your music choices were absolutely fantastic! Everyone had a blast dancing the night away and I cannot tell you have many compliments we received about your entertainment. It was a pleasure working with you and we will definitely recommend you to all of our friends and family. Thanks again! 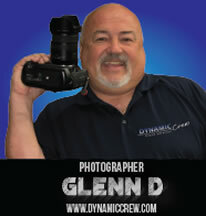 I cannot express how pleased my husband and I were with the services provided by Dynamic Crew. Rob and Ed were wonderful! They played exactly the type of music that we had discussed, as well as other wonderful selections! Both Rob and Ed knew how to bring our guests up to the dance floor and it allowed them to really enjoy themselves. Throughout the night, many of our guests had expressed how great the DJ's were! David and I were also very pleased with Darrel. He arrived at our hotel exactly when he said he would, and never made myself or the bridal party feel crowded or uncomfortable. I cannot put into words how happy I am to know that every memory and every moment was captured during such a special event, especially since there is so much that the bride and groom miss during the course of the day. I would highly recommend Dynamic Crew to anyone looking for services for a wedding, or any other special event! Haisong, I & our friends love the video you have posted on your website! Thank you very much for the great work! We loved, loved, loved Bobby D! He was early and on time when shooting before our ceremony. He was very personable and friendly with everyone. He got all the shots we wanted that our photographer was unable to get. He was also very accommodating with fixing our highlight video until it was perfect and exactly what we wanted. Our complete wedding video turned out so good and captured all the moments of the night. Would definitely recommend him! Hey Lou, I just wanted to send a quick email to you let you know DJ Rob and DJ Ed did a great job for our wedding on June 22! They were very professional, friendly, and accommodating, especially with all the Danish traditions that we had to incorporate during the ceremony and reception. 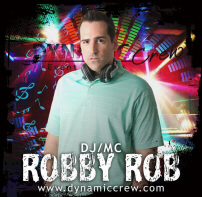 I couldn't have asked for a better DJ :-) I already voted for Dynamic Crew as Best DJ and I intend to recommend DJ Rob to my friends and family! We are so sorry we haven't responded sooner but we have been very busy since the wedding. Where to start, well we couldn't have had better service from both of you and everyone else with the Dynamic Crew / Lifestyles family. From the suit rentals which were amazing. To the help that Rob gave us with song selections. As for the ceremony and reception all we can say is Rob you are amazing. The cues for the music was spot on and made our wedding something we will never forget. The reception was the absolute best though Rob you kept everyone dancing and having a great time. The music selection was great and you made our night the best party we could have imagined. We wanted to thank you for all your wonderful & professional services. We loved Steve who sang all the Sinatra hits during dinner he was a BIG hit!. We also loved Dj rob's music he kept everyone on the dance floor all night long! and a big thank you to Bobby our videographer who captured an amazing video of our day. We have a wonderful keepsake. Our tuxedos by lifestyles were also a perfect fit. your company made our wedding special! We would all like to send you and Rob a huge thank you for making Rileigh's Communion Party a wonderful event. Rob was just beyond words! He was very energetic and did many fun activities for the children in attendance. He made the night a lot of fun for everyone. With his music selections he was able to cater to all age groups in attendance. !b! After the party was over we received many compliments about how wonderful a job Rob did. We must say we have attended many events throughout the years where a Disc Jockey was present but by far we all agree that Rob truly outshines all the rest. It is very hard to sum up in words how wonderful he was at the party. We can just sum it up by saying he did an awesome job and he would be our first recommendation if someone needed a Disc Jockey at their event. Once again thank you for making Rileigh's Communion Party a wonderful success and making the evening a memorable one for everybody and especially Rileigh. You helped Rileigh create many memories she will cherish for a lifetime. Thank you so much for all your services and help with our event! DJ Rob, Nana and his assistant, Virginia, and Billy with the photobooth were a pleasure to work with, they really made the whole process smooth. Rob played all the best tunes and our guests were dancing all night.. no empty dance floor at our wedding! The photobooth was a huge hit. EVERYONE loved it so much! And we enjoyed looking at all the pictures later in the album. Nana and his assistant were there for every important moment and didn't miss a thing. I hope our guests didn't bug him to much. Thank you so much for helping out with my father and Henry's tuxes, the color change on my father worked out perfect. I have told everyone about your company and hope to refer anyone that may need your services in the future. I really cannot say enough great things about the Dynamic Crew team who helped make our day amazing! Overall, Tommy and I are thrilled with how everything went the day of our wedding! The team was a huge part of helping everything come together and we are so happy. Everyone was so professional and were fantastic! I hope the notes below help. Please let me know if you need any additional feedback. I would be more than happy to share! Rob and Omar were spinning great music all night! We received so many compliments from our guests on the great music! The dance floor was packed the whole night! We all had a great time dancing all night long! Rob was so helpful in putting together a great montage of music for Tommy and I to use for our first dance! He even recorded the whole thing and posted it online for us to see right away! Omar was great, he got me out on the dance floor and spun me around and led me in a fun dance. It was such a great surprise! Our photography team, Michelle and Paul, were fabulous! They were so great at capturing candid and precious moments. Both were so great in finding the right lighting, poses and smiles! They captured all of the poses we wanted and asked for, in addition to so many other great poses! Michelle was so great in quickly finding an alternative spot for group shots since our pick was not available due to a public event. I know the pictures came out great and we are really excited to see the all the pictures! Darryl and Emily were our videographers and they were fantastic! They were everywhere I looked making sure to capture every single detail without feeling like they were in the way. To me, this is so important because many times you can feel when a camera is in your face, but I never once felt that with Darryl and Emily! Both were so attentive to every detail, especially the parts of the day that were so precious to us! We're really excited to see the final video and reminisce of our amazing day! The service I received was perfect. Your staff is very professional. They were all very polite and they were great with my guests. The music was great, the pictures and video are just the way I imagined they would come out looking. I could not have asked for better service. I will send everyone I know who is having a big event to you. Thank you for always making me feel like family. Thank you so much. The services Dynamic Crew provided for my wedding were great! I had the hot pink up lighting at Valleybrook and it looked great!! I appreciate all the hard work and effort put into making my day special. The services that Dynamic Crew provided were excellent! The team we were provided did an exceptional job and were on top of everything. Michelle was amazing when it came to our engagement photos and we can't wait to see the wedding photos. Not only is she an amazing and professional photographer but she is also a lot of fun to work with. Rob and Omar were also beyond our expectations. Rob actually called about a week before the wedding and spent a good 40 minutes on the phone with Danielle discussing all of the music we wanted for the wedding. They went above and beyond at the wedding reception and everyone had a great time on the dance floor. Darrell was very easy going, relaxed, and fun to work with. I swear he was every where at once and I really don't think he missed a thing. We have no doubt that the video will be gorgeous. All of the services provided by Dynamic Crew exceeded our expectations. Everyone we worked with had an amazing attitude and did everything that they could to make sure our needs were met. We would never hesitate to recommend your company for anyone's events. You did such an awesome job Saturday! Everyone just raved about how you got everyone up and out of their seats! We have some other weddings coming up within the next two years and they are already thinking about meeting with you! We couldn’t have asked for a better DJ! Our photographers were fun, and we had a great time with Sarah and her assistant. Rob was a great DJ, he kept everyone entertained. We would have liked to have heard a few of the songs that we requested on the website though. The photobooth was a great addition, and everyone had a great time taking pictures in it. The scrapbook is a great keepsake. Everything was great all guys where so nice and professional. As for the music - WOW!! Ever since we met Rob at the beginning of the year at the Aloft bridal show I did not have a doubt in my mind that he was experienced, professional and knew how to keep the crowd involved. Initially we only signed up for the lighting, but soon after realized that Rob was definitely the way to go. Everything was incredible - the cocktail hour, the instrumentals while the guests were moving from one room to the other, the announcements, dinner service, getting people on the dance floor, I could go on and on. Since my husband Dave was in charge of the music I have to say that Rob was there to guide him through everything with ease and confidence - essentially talk him off the edge with only a few days left until the event! He was also very tentative to our needs at the event and was able to pull last minute changes and/or requests with ease so it was unnoticed by the guests. We've heard numerous compliments about how great the music was at the reception and even afterwards. I will always be the first to recommend Dynamic Crew (Rob and Bill) for the DJ services and lighting after having such a great turnout at our wedding reception!! It truly was a huge part of the reception and I'm glad that we chose your group to make our event everything we wanted and more!! You created one amazing night! I knew from the moment I saw you at your showcase your company was the perfect fit for us! You were perfectly dressed in your tux and vest - you bring a class like none other. Most importantly you love what you do and it shows. My guest are still raving about our wedding (some who replay video they took over and over) "Best Ever" they say and I completely agree. I felt taken care of and knew we were in the hands of the masters. My perfect day was just that..... PERFECT thanks in part to you. As for feedback on DJ Rob.....we absolutely loved him. He kept the guests entertained and dancing and fully exceeded out expectations. All of you did a wonderful job in accommodating exactly what we were looking for. We will definitely keep you in mind for any future events. Thank you for everything! Our DJ was fantastic! The music was awesome! and DJ Rob did a great job! Hi Lou, Thanks to Dynamic Crew, Jim and I had an amazing day! It all started with the customer service I received from Dynamic Crew. Dynamic Crew really has a top-notch group of employees working for them. Everyone I spoke with either through email or on the phone was so helpful and pleasant. They all worked around my crazy last-minute changes/additions and never made me feel like I was putting them out. I will definitely recommend Dynamic Crew to everyone I know. 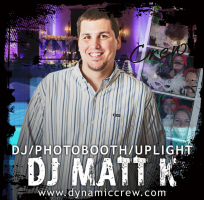 Dynamic Crew provides nearly all the services a couple needs to plan a wedding. You all were amazing and made our day that much more spectacular! I'd like to thank Dynamic Crew for the limo service provided by Bella Limousine. Our driver, Joe, got to my house early and was extremely helpful in helping all of us girls get to Brigalias. Joe was also helpful in getting us back home after the reception. He couldn't have been more nice. I know my sister was impressed with Joe's service, too. She is getting married in May 2012 and she made sure to take his card. Our DJ Joe arrived early to have everything set up and ready to go. He found all of the music I requested for both the ceremony and the reception and made sure our guests had a great time! Joe was very flexible with the last minute changes we made that day. Michelle our photographer was so much fun, had so much energy and set up some great photos! Michelle was patient and set up the photos we wanted, even the ones my sister asked for and I saw her getting some candid shots of all of us and our guests. She even showed me some photos on her camera's viewfinder so we could adjust them. I really can't wait to see how all the photos turned out! I was satisfied with the DJ services. Rob was really good at timing all the events and annoucements and keeping everybody in the mood to party. so on that, top marks to Rob :) And he stuck with our do-not play list even when someone requested a song that was on it, so i appreciate that too. Happy New Year! I apologize for taking so long to get back to you regarding our wedding experience with DJ "Robby" Rob. Things have been so hectic since the wedding, especially with the holidays coming up so soon afterwards! In short, DJ Robby Rob was fantastic! He was a pleasure to work with from the outset and really worked within our limitations to ensure we were comfortable with him prior to the wedding day despite the fact that we were never able to meet in person to plan. He responded to my e-mails and concerns in a timely manner and had a detailed phone conversation with me in the weeks prior to the wedding to really hammer down on my "vision" of what the music at the wedding reception should be like (we wanted a more low-key, laid back atmosphere rather than a crazy party since it was a Sunday daytime wedding). I appreciated his knowledge of current music and his understanding of mixing the needs of the younger group at our wedding with the needs of the older attendees. It really helped that he seemed to have the same taste in music as I do!! And, when I finally did get to meet Rob in person, it was like we had known each other for years. He really connected with me, my family, and my guests...so much so, in fact, that my friends who are getting married this year (November 2012) have hired him to handle their wedding also!! I have had many compliments from my guests about the music at the wedding (they loved the variety and how willing DJ Robby Rob was to take their requests). I also loved how he came into the photo booth with us at the end of the day and even danced with just me and my family a little bit before the end of the reception. He seemed more resistant to the party ending than my husband and I were and insisted we "get one last dance in" (which I really appreciated)! I hope you will forward my sincere thanks to Rob for the wonderful job he did at our wedding! If I ever have a big party like this again, I would not hesitate to hire Rob, and I will continue to recommend him to my friends/family for their big events! Rob was definitely awesome!!!!!!! We heard a lot of people saying how great of a DJ we had for our wedding. Michelle worked well with us and handled our stress levels appropriately. I can't wait to see some photos though. :) All in all we had a really good day working with both Rob and Michelle. Thanks for checking in. We were really lucky to have Rob. He spent a lot of time with us reviewing song ideas, and he kept the night flowing very seamlessly. We didn't even have to think about it. Great transitions, very professional. My friends, some of whom are DJs, were all very impressed with him, and he was a lot of fun to work with. He kept the volume where we wanted it and played our requests for us. Thanks very much for your help as well. Have a good one! We really enjoyed our video! It's great that we can go back by chapter if we'd like to show someone something specific. So glad we decided to do this, it was one of those last minute decisions that really made our day memorable. Thank you so much for everything! We just got back from our honeymoon. You did an awesome job with the lighting. Everyone is still talking about the lighting. A lot of people were saying that the room looked like something on TV. You did a great job!!! The purple uplighting and pin spot lighting on the cake were amazing. I also loved our monogram on the wall. It was positioned on the perfect spot. I'm going to have my brother refer his bridal clients to you. Happy Fourth of July. I wanted to let you know how pleased Alan and I were with Robby Rob. Robby Rob was great at our wedding and really had the party going all night long! There wasn't a moment that people weren't on the dance floor, it almost wasn't even big enough for everyone. I greatly appreciated Robby Rob meeting with me before the wedding and working with me through email to make sure that the music really reflected Alan and my self's personality. He did such a great job with it, it was everything I imagined. Thanks again for your great service!!! Everything was amazing. The video turned out beautiful and showed all the great moments. Bob did an awesome job on the video and was great the day of. we're so glad to have had him as our videographer. Everyone had a great time and the music was perfect. It was so great to have so many people up dancing the whole night. Thank you so much for help during our special day. We had an amazing time with Joe, along with everyone else at our wedding. The dance floor was filled the whole night and everyone loved the music. Thanks so much for helping in our special day and making things so easy for us! Hi Lou, your guys were fantastic everything was on point, we thought everything was great. from Michelle to DJ Robby Rob to the videographer Darrell. They all did a great job. We will be recommending your company to all of our friends and family, we want to just say thanks for making our greatest day a memory one. I just want to say THANKYOU! Thank you for making our day so amazing. Robby Rob blew away any and all expectations we had. He did a fantastic job. He had everyone dancing and there was not ONE dull moment on the dance floor. Darrell was great as well. He was never in anyones way-really did a great job "behind the scenes". Its amazing how much footage he caught when I never even knew he was watching me. Thank you again for providing us with the best of the best! Thank you so much for all you have done for us. We knew since the night we first meet you we had the best DJ in Jersey. Thanks for making our reception unforgettable. We will always remember the great fun & Entertainment that you provided. Yes DJ Rob was excellent. The kids had a great time.. I received nothing but positive feedback for the event. The set up was perfect. DJ Rob was awesome. It was a great mix of music. Everyone had a great time. You will definitely hear from me again when we have another event. Everyone was awesome! They were extremely professional and patient ( with my difficult family) during our wedding! Sorry it took so long to get back to you, but I just wanted to let you know that we were extremely, extremely pleased with both the service and DJ Rob. He was energetic, lively, fun, and allowed for the party to have a great atmosphere with his mix of songs. Just the fact that he arrived so promptly and had such an organized setup/presence left a great impression on everyone. DJ Rob and our photogrpaher Michelle were both absolutley wonderful and we couldn't have been more happy with them! DJ Ben did a good job. Everyone had a great time. Just wanted to say how AWESOME everything was!!!!!! Dj Joe T was great! Everyone was on the dance floor all night and he played a great variety of music. He really did an awsome job. Rob did a fantastic job on Saturday! And the uplighting was perfect. We really enjoyed our day. Everyone was thrilled with the DJ -especially Nick and I. Rob was great and the uplighting looked perfect. Thank you to you, Rob, and all of the crew that did a fantastic job. My sister will be having a sweet sixteen in 2 years and you will definetly be on speed dial. Again many thanks for making our day great as the DJ is one of the most important aspects on making a great wedding reception. PS: Feel free to use us a referral or if you need a more to the point testimonial. Thanks:) Everything was great. No complaints at all. Thanks so much! Hey Rob, Sorry I'm just getting back to you been so so busy! The lights were amazing I really loved the look that it gave the room, it was just enough and made the room pop. I'm glad I decided to go with the up lighting! Thank you again for your quality work and making my day even more special! I apologize for not sending out my thank you notes sooner...but they are on their way! Joe was AWESOME and so many of my guests made comments about how great he was. He made my new husband and I feel really special. He played so many great songs and kept the party moving. We couldn't have asked for anyone better and I am so happy that Dynamic Crew provided such a great D.J! Our videographer did an EXCELLENT video for us. My family and I were overwhelmed at how much detail he put into video each special aspect of our wedding day. The highlight clips were so special and made everyone cry...it was a great ending! The tuxedo's that you advised us on for the wedding were a great choice! All of the bridal party really appreciated having a lighter fabric as well as a stylish tux. Thank you so very much for all of your advice and great staff that you provided to make my wedding day so very special! You guys are great! We loved the DJ and the videographer we will be in to pick up our video soon have been so busy!!! Awesome, Wonderful, Personable, Well Organized, and Patient! He is a great DJ to have apart of your crew. James and I continuously stated in our meeting and discussions with you guys that we think a DJ can make or break a Reception and that we expected the DJ to get involved with the crowd. Well he did and our Reception was a hit. He was even patient when things didn't flow exactly as planned with the timing/schedule leading up to the Wedding, the Ceremony and the Reception. I was having the darned is time picking songs so I was working on it right up to the 11th hour (which is not like me). The Ceremony didn't begin on time not due to James and I. I was informed that a lot of our guests were not here because they were stuck in AC traffic due to an accident so I delayed the starting of the Ceremony.....and that obviously caused a ripple affect with the timing of everything else. BUT at the end DJ Rob took the edge off with his personality and made it a great night nevertheless. You can tell he loves and enjoys what he does. I would recommend the company and using specifically him only anytime. Rob was great for the wedding, everyone had a great time. The dance floor was packed all night long and we got rave reviews about the reception. He incorporated "our song" as the very last song of the evening and I couldn't have asked for or planned a better ending to a fantastic night. I would highly recommend him to anyone. Hey Rob, 1st I want to say thank you sooo much you did a great job on Saturday night everybody had a lot of fun! I remember on the way out you said you made a CD with the songs on it for me, but I never got it, I was wondering if you could make another copy for me?? If you could that would be great!! Thanks again!! Thank you!! We loved Joe and we love the wedding dvd. I watch it probably too many times haha. But it really is great! We will keep you in mind for the dj service- we actually are already expecting our first child!!! So we will have parties to look forward to and will need a great DJ!! We loved working with you guys and will always recommend you to friends and family! Please thank Joe again for such a great job! Our crazy dancing family and friends enjoyed every minute and every song!! Please take care!!! And thank you again!! Sorry about the delay, but I've been away for a few days. In any case, in response to your question about DJ Joe T, I couldn't say enough about what a great job he did at my daughter's wedding. As I mentioned when we first spoke, having the right DJ is critical to creating a fun reception, and Joe T was exceptional at keeping the party going. People were dancing all night long. In fact, just this week, I received another complement as to what fun the wedding was. Thanks again to you and Joe. for being such an important part of our special day. Your top-notch music and fun presence helped to create some very special memories for us. for being such an important part of our wedding day. Your top-notch music and fun presence helped to create some very special memories for us. Thank you for being apart of our wedding day. We both enjoyed the day and were very happy! DJ Joe T. did an excellent job! Joe was very professional even in 100 degree weather. Joe kept the party going the whole time. I could not have asked for anything more from a DJ.